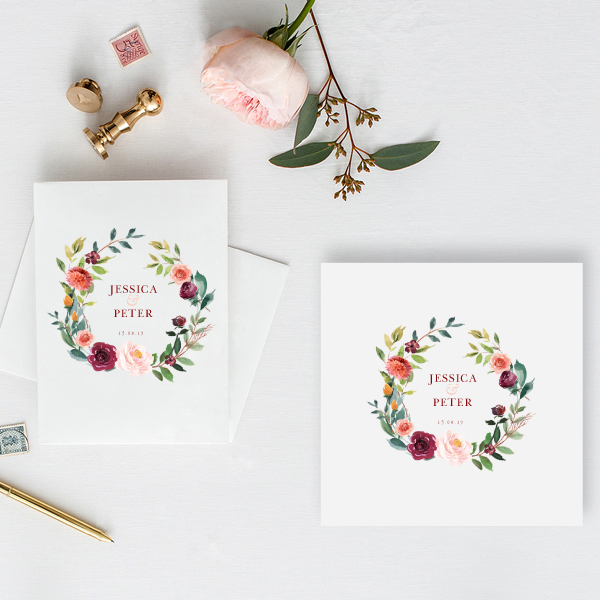 For a delicate, whimsical and romantic look for your special day, our watercolour wedding invitations offer everything you want. 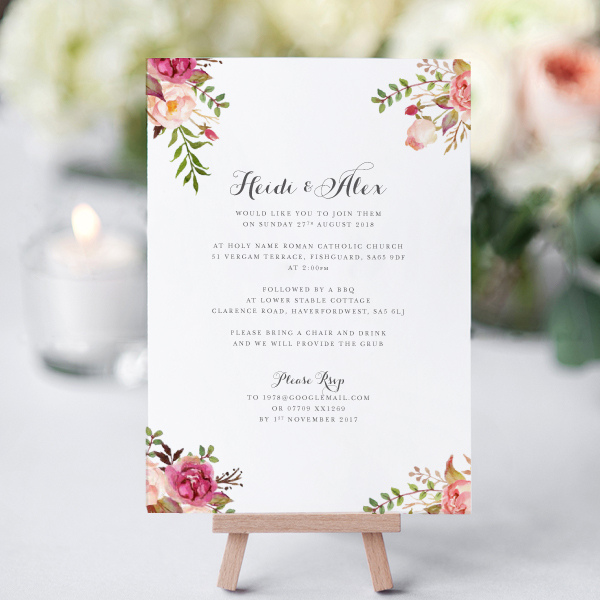 With a range of beautiful designs for you to choose from, you’ll find the perfect watercolour design that matches the theme and feel of your wedding before customising it to match your colour scheme and personal preferences. 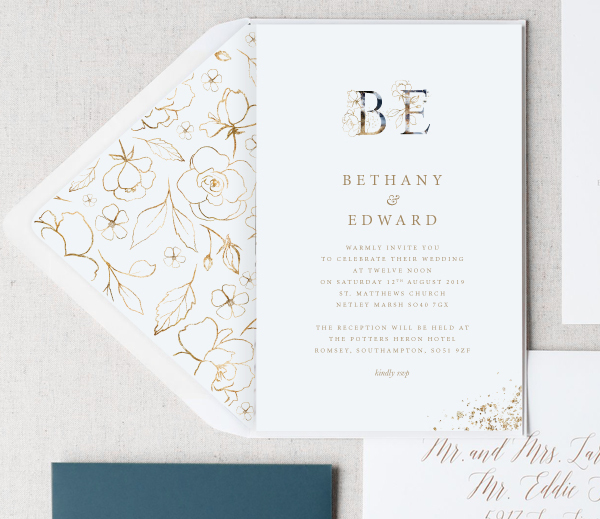 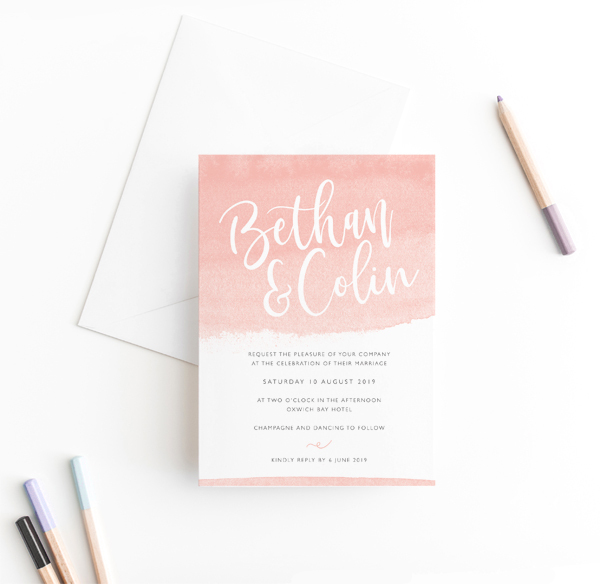 After choosing the perfect design and colour scheme, you can add any extras and choose your font and wording to ensure your watercolour wedding invitations are completely unique and ready to be sent out to your guests. 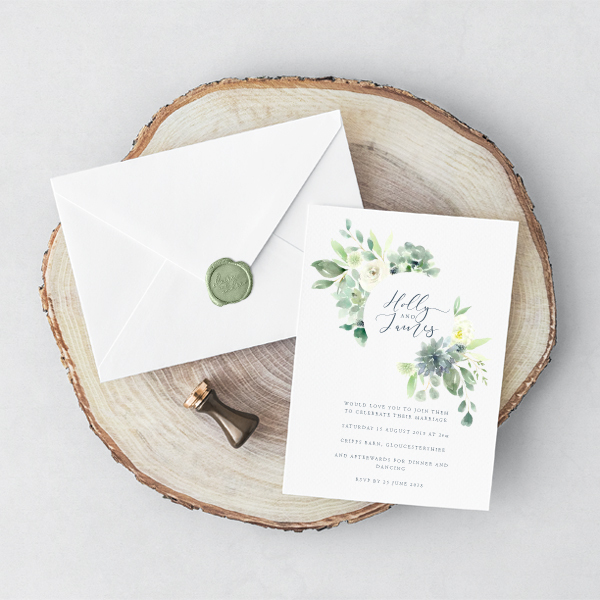 Our professional and friendly team are dedicated to ensuring you have an excellent experience with us and preparing for the most important day of your life. 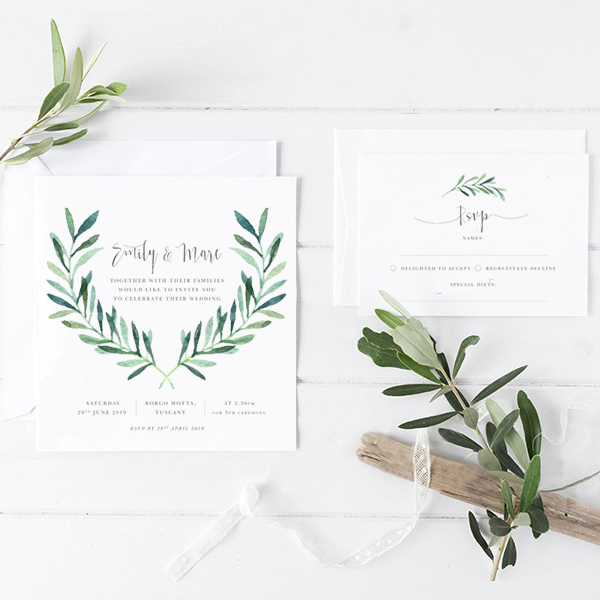 It’s only natural to worry about your wedding invitations being perfect, but here at Olive Weddings, our unrivalled attention to detail means that you can relax, knowing you’re going to love the results. 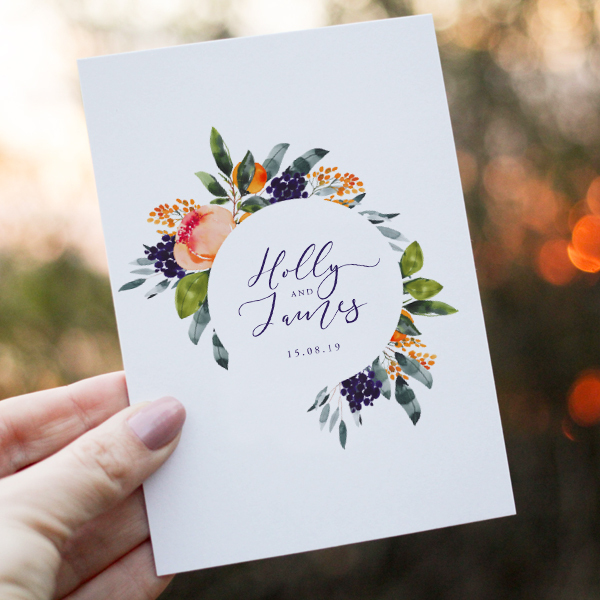 We’ll keep you updated every stage of the way, so there’s one less thing for you to worry about. 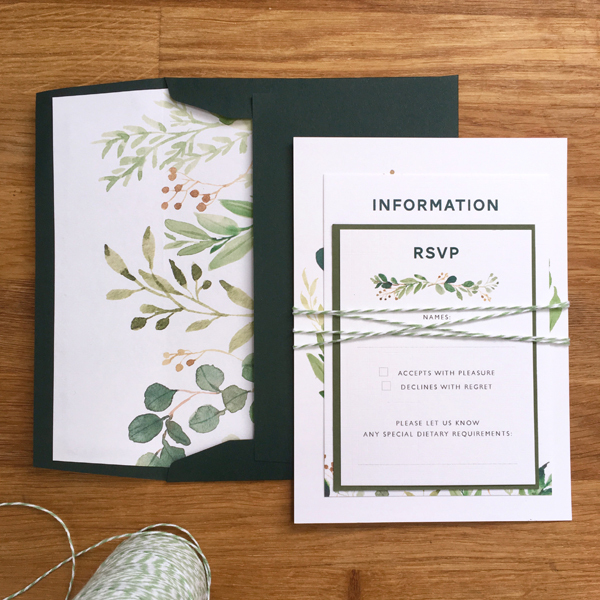 Find out more about our beautiful watercolour wedding invitations by calling 07737 361168 or email ruth@oliveweddings.co.uk today.